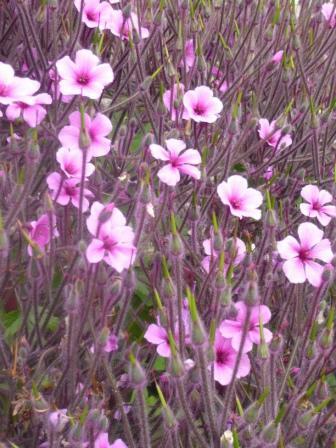 I saw this Geranium in pots in the walled vegetable garden at Harewood House and the gardener was happy to talk enthusiastically about this and other plants from Madeira. The plant was growing taller than the normal 4-6 foot and made a spectacular display. 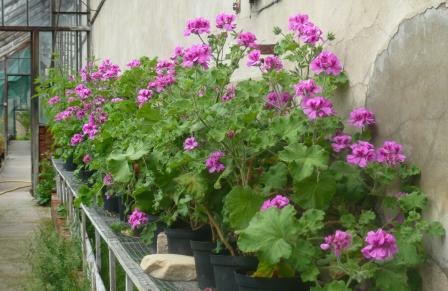 How are Geraniums confused with Pelargoniums? By way of contrast the Pelargonium ‘Attar of Roses’ was growing only feet away in the greenhouse but the flower colouring was similar. The Pelargonium had the edge for me because of the scent when you touched the leaves. They would make a good conservatory plant but need to be kept in check so they do not become too gangly. 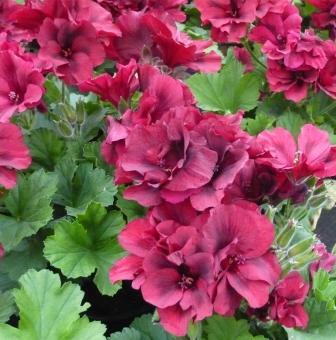 I like growing Regal Pelargoniums and have previously written comments and posted photos.